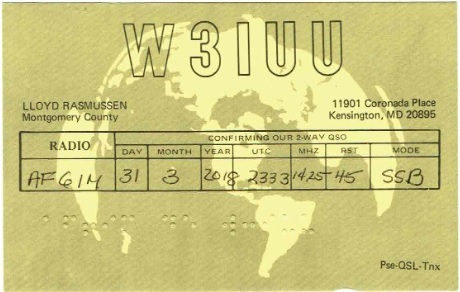 During mission 30, Mark, AF6IM made a contact with W3IUU during his HF jump. We were so excited to learn that Lloyd was in Maryland. Maybe not a big deal most of the time but when you only have about 15 minutes descending out of 12,000 feet under a parachute, this is a big deal. You’ll notice that there is Braille on the card. That’s because Lioyd is blind. 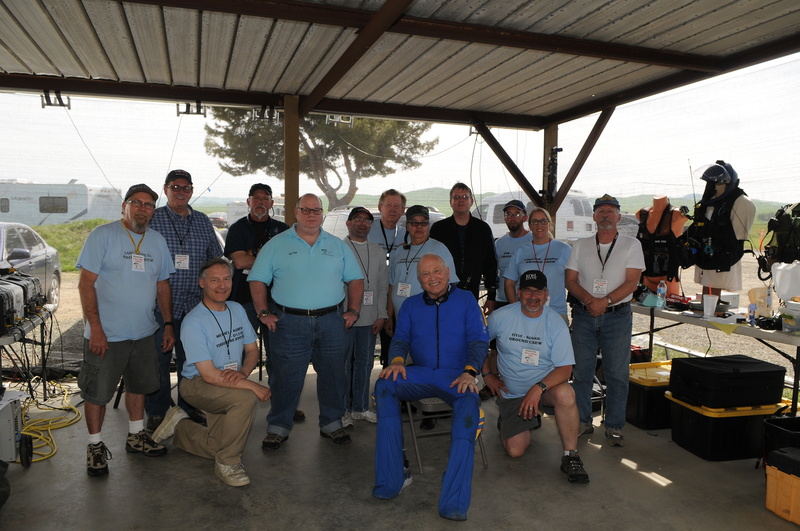 Hear his and Mark’s story as told by Amateur Radio Newsline bellow. 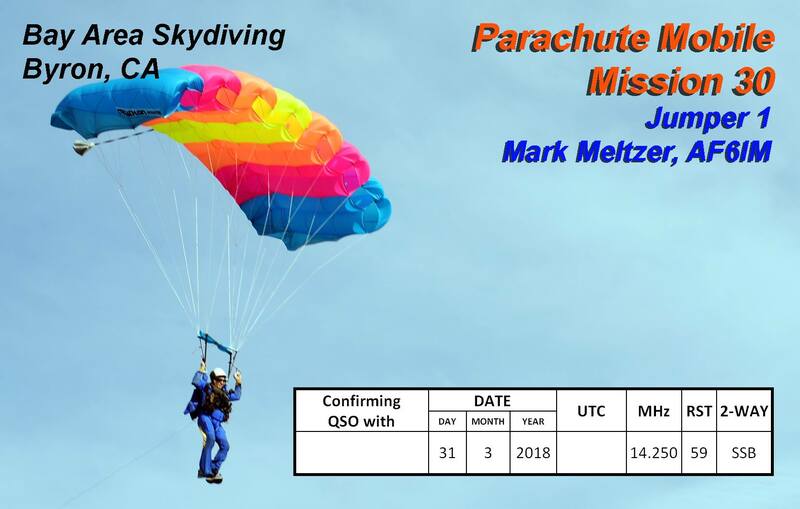 We’ll continue to dedicate an HF jump during all future mission so be sure to spread the news so we can make more contacts during Mission 31, June 16, 2018. 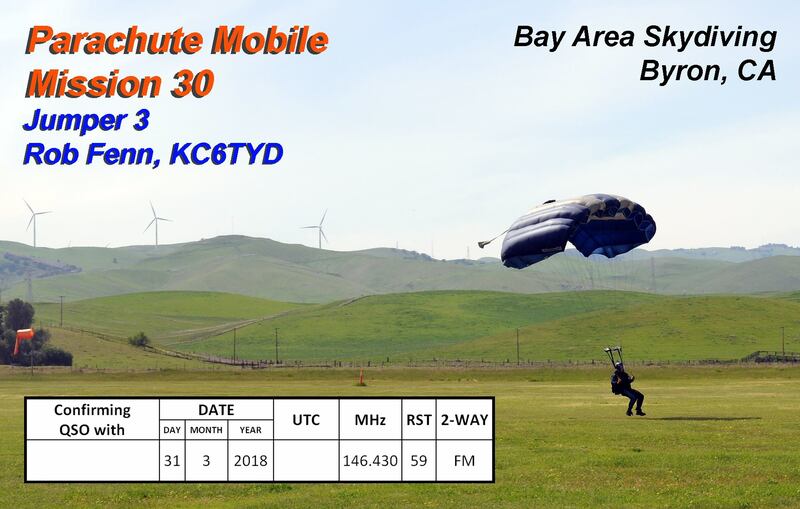 We still need your QSO confirmations! 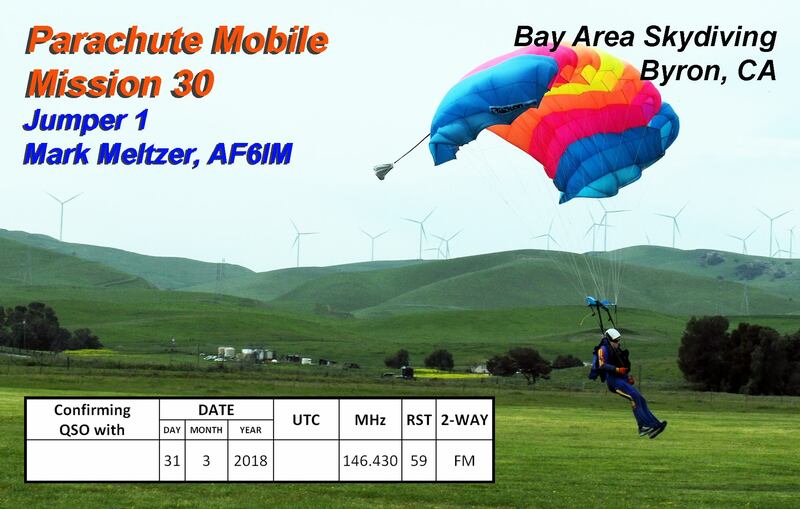 We are still tallying up all the QSO’s for Mission 30. If you have not done so already please email kc6tyd@gmail.com and let Rob know which jumper and time you made your contact. This is especially needed if you made a contact with Mark on his first 2 meter jump. The on board recorder did not record properly. We do have a log from Mike, who was handing Parachute Control way up on Diablo, but your confirmation is helpful. Mark you calendar: Mission 31 will be June 16.